Tonight marks the start of the 2014 New York Festival of Light (NYFOL) here in our home neighborhood of DUMBO, Brooklyn. 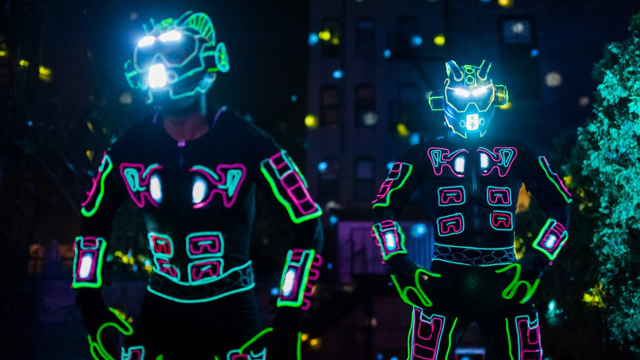 Originally crowd-funded via Kickstarter, the NYFOL is one of this year’s premiere DUMBO events, featuring incredible light-based work by over a dozen artists, both local and international. The projections and displays will appear under, around, and on the Manhattan Bridge Archway. There will be both static and interactive installations, along with music, food, and drink. It truly is a one of a kind event, and we couldn’t be more pleased to see it return for 2014. The New York Festival of light is a completely free experience, open to all ages. The series kicks off tonight at 7pm, wrapping up this Saturday, November 8th at 11pm. For more information, including event times and location, please follow the link below. We hope to see you there!